The concept of a ceramic swan came from Antonio's desire to have a watering-can connected to the aesthetic and practical world of gardening. 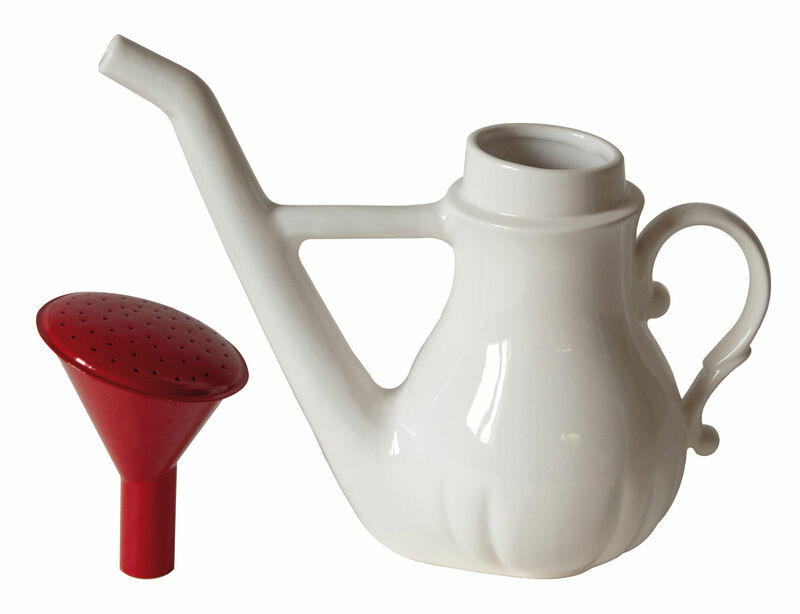 Why not insert into it a glimpse of our daily life indoors, by transforming it into a teapot? After all, watering plants could be compared to pouring tea for friends. 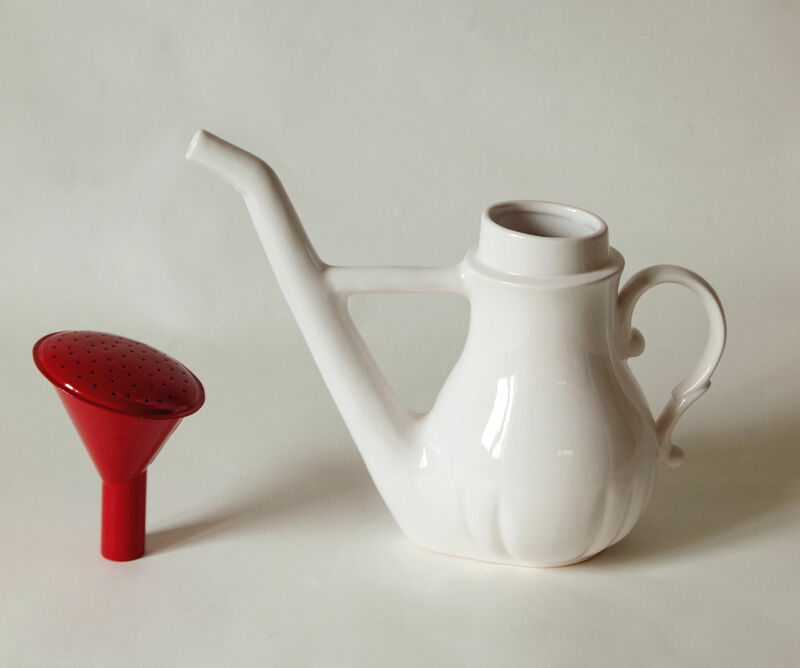 Changing the concept and combining the use of two common objects - like a watering can and a kettle is a way for Antonio to magnify everyday life and to put some fantasy and magic into such tenderhearted gestures. The hybrid shape of the tall kettle could be seen as a weird swan and the short one could be seen as a baby elephant with a very long trunk.